Bermuda is the “hottest” destination in every sense of the word for people from Northern hemisphere. Pleasant and sunny weather all round the year, crystal clear coastlines by golden beaches and an upbeat mood of the locals make it a perfect gateway from cold climates and otherwise monotonous lifestyle. Situated amidst the North Atlantic Ocean, Bermuda is one of the friendliest places on earth with a spirit of festivity and enthusiasm enwrapping the group of islands all the time. Officially, Bermuda is an archipelago of total 138 islands of different shapes and sizes and is an overseas British Dependency. It is located 580 miles (934 km) off the east coast of North Carolina, United States of America, and is spread over an area of total area 53.3 sq km. 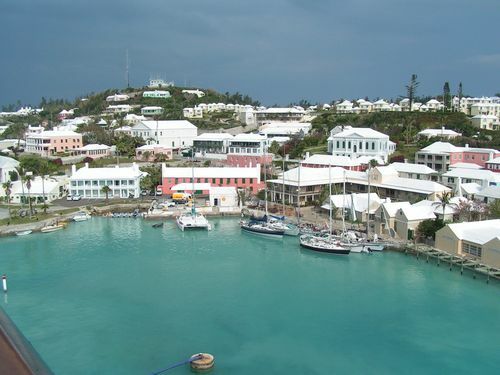 Among the numerous islands, only few are inhabitable and the population of Bermuda approximately stands at 65,400. The capital city of Hamilton is situated on the largest island, Bermuda or Main Island. Other significant islands are Somerset, Ireland, and St. George and coral reefs adjacent to Bermuda's shores are the northernmost in the world. Bermuda’s coastlines are virtually connected to that of Puerto Rico and the United States of America to denote the location of the mysterious “Bermuda Triangle”. The terrain of Bermuda hardly displays any special elevation or steep contours to boast of except the Town Hill that stands at seventy-six meters. Causeways and bridges link all the main and habituated islands and there are no rivers or freshwater lakes in any of them. The most exciting geographical feature of Bermuda, apart from its pristine beaches, is its climatic conditions. Surrounding trade winds gift the islands with subtropical climate, which delivers not-so-hot temperatures all round the year with brief exception of lower temperatures in winters. The islands of Bermuda were first introduced to the world by Spanish seafarer Juan de Bermudez, who touched its shores in the initial years of the sixteenth century. But foreign settlements took place in Bermuda only in seventeenth century after Sir George Somers along with his shipwrecked crew arrived on their way to Virginia. Subsequently, Bermuda became a British Crown colony in 1684. The archipelago gained immense importance during the Second World War when American defence forces took the islands in lease to establish their bases that were existent till 1995. After the middle half of the twentieth century, a new constitution was introduced in Bermuda and it acquired self-governance under British monarchy. Bermuda doesn’t possess any significant or commercially viable natural resources to build up a heavy industry, yet it has managed to constitute a lucrative economic structure. International trade and transactions has been the main contributor to the healthy GDP of Bermuda and ensures a standard of living at par with the developed countries in the world. The leisure travellers from all corners of the globe have stimulated the booming luxurious tourism industry of Bermuda and provides necessary backup to the lagging agriculture sector. Bermuda is also the hub of international financial matters that provides services in investment holding, finance and insurance. 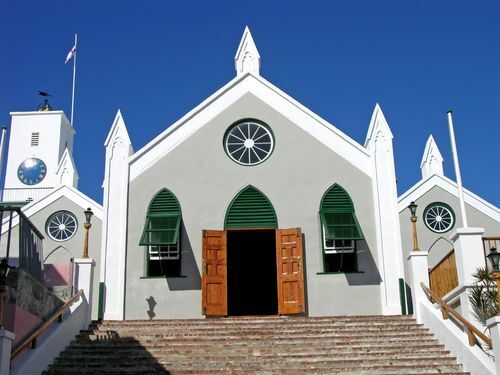 Bermuda has an independent political set up with a 1968 constitution and privilege of self-governance. However, politically, it is identified as a British Overseas Territory and presently, the monarch of United Kingdom is the recognised head of state of Bermuda and is represented in the country by a governor. A referendum to break away from the monarchy was soundly defeated in 1995. The executive powers were extended from the governor to the prime minister and his set of cabinet ministers. All of them are elected to the bicameral parliament of Bermuda on basis of universal suffrage and then appointed by the governor. The legislative powers are invested in the 11 members of the Senate and 36 members of the House of Assembly, each of them serving five year in the parliament. While the Senators are chosen by the premier and the leader of the opposition party, the Lower House members have to face the public voting to manage a berth in parliament.